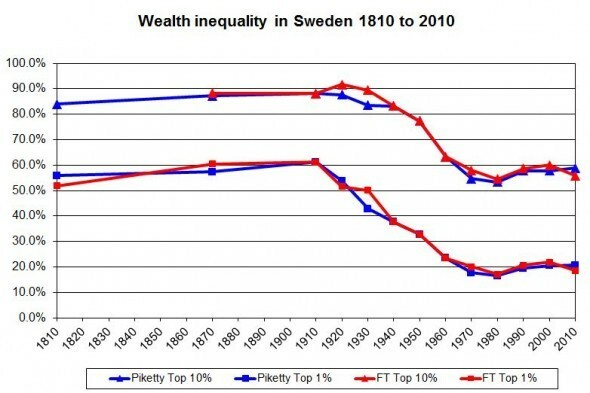 It took one long weekend and several blog posts, but the world's top economic minds have determined that yes, in fact, inequality is still a problem. You probably missed the whole controversy, having headed to the beach or wherever for said weekend, so let's catch you up: The Financial Times late Friday afternoon fired a stealth missile at French economist Thomas Piketty's monumental tome Capital In The Twenty-First Century, declaring it riddled with errors and data manipulation and -- an unforgivable sin in economics -- made-up stuff. "The conclusions of Capital in the 21st century do not appear to be backed by the book’s own sources," declared the FT's Chris Giles. This would have been a bombshell, had it been true. Piketty's book, a 700-page doorstopper warning of a bleak future of rising wealth inequality, has been a surprise bestseller. Liberals love it. Conservatives hate it. Declaring it null and void would have been a shocking blow, akin to the moment a grad student discovered that Harvard economists Carmen Reinhart and Ken Rogoff made fatal errors in research used to justify austerity on both sides of the Atlantic. But a consensus has quickly formed that the FT got too high on its own analysis. Sort of the same thing it accused Piketty of doing. "Anyone imagining that the whole notion of rising wealth inequality has been refuted is almost surely going to be disappointed," Paul Krugman wrote. Krugman was joined by economists Justin Wolfers, James Hamilton, Gabriel Zucman, frequent Piketty critic Scott Winship and others, along with The Economist's Ryan Avent, The Washington Post's Matthew O'Brien, and The New York Times' Neil Irwin, to name a few. 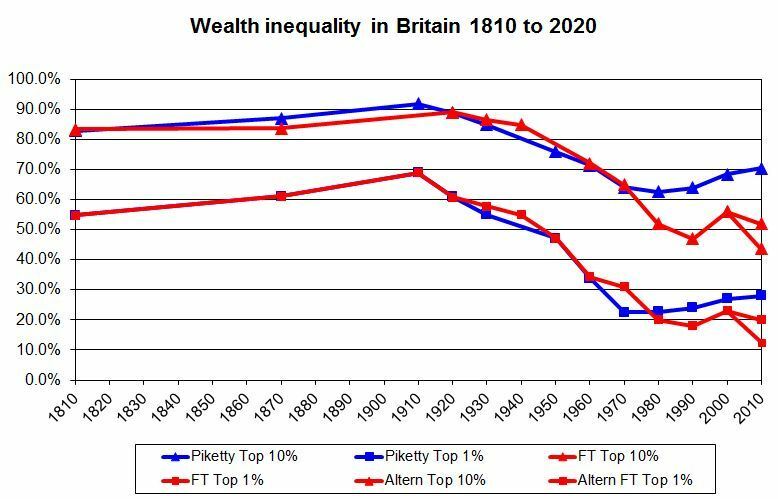 As the New Republic's Danny Vinik points out, the state of wealth inequality in the U.K. between 1980 and 2010 -- where Piketty and the FT differ the most -- has no real bearing on Piketty's arguments. 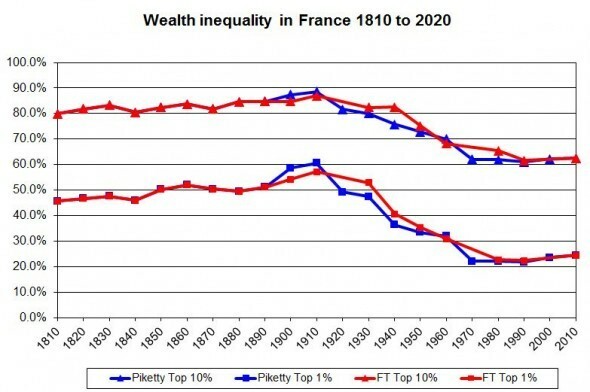 Piketty's vast data trove goes back for centuries, and his book looks to the future. It is not shakily constructed on one line chart of 30 years of U.K. wealth data. 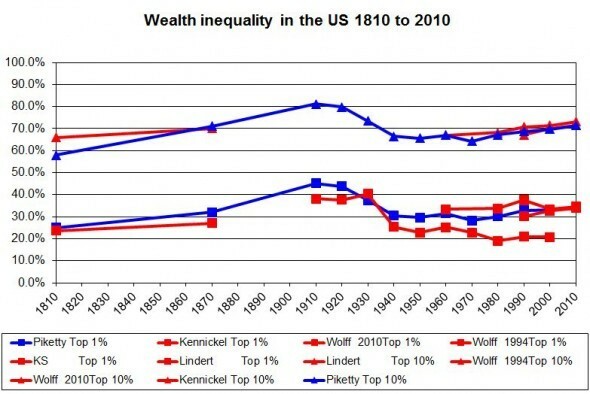 "Piketty's central theme is not that inequality of the ownership of wealth is going to skyrocket," wrote Mike Konczal of The Roosevelt Institute. "If you look at the text, he's somewhat agnostic about this, but it's not determinative. 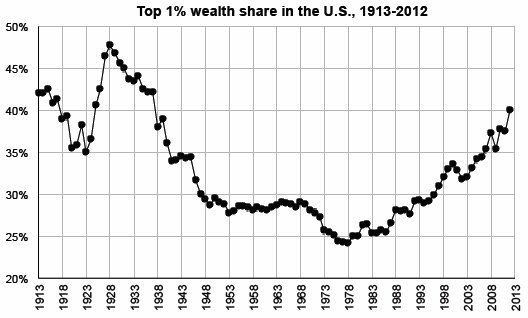 The central theme is that the 1% already owns a lot of the capital stock, and the capital stock is going to get gigantic relative to the rest of the economy." Even if Piketty has no good response to the FT's critique, leaving his book's reputation permanently damaged -- which seems unlikely right now -- that reality will not change.